largely operational and transactional, stopping at the meter and at the bill. But what if they didn’t? What if electric companies could engage customers in a daily dialogue? They could turn the dialogue into greater energy savings and higher customer satisfaction while growing new revenues and new markets. It is rare for a company to have such access to its customers, and even rarer to enjoy the level of trust that customers have with their electric company. However, customers want more value from the relationship if they are going to engage. They want personalized energy insights. They want control over consumption. Many even envision energy companies offering smart home services. Electric companies are uniquely positioned to drive a stronger value proposition in smart home and energy management. With changing market dynamics and flattening revenues, it’s time to tap the potential of these relationships. Leading electric companies, such as AEP Ohio, see the potential ahead. To augment the expansion of its advanced metering infrastructure, AEP Ohio turned to Powerley to launch a real-time energy experience. 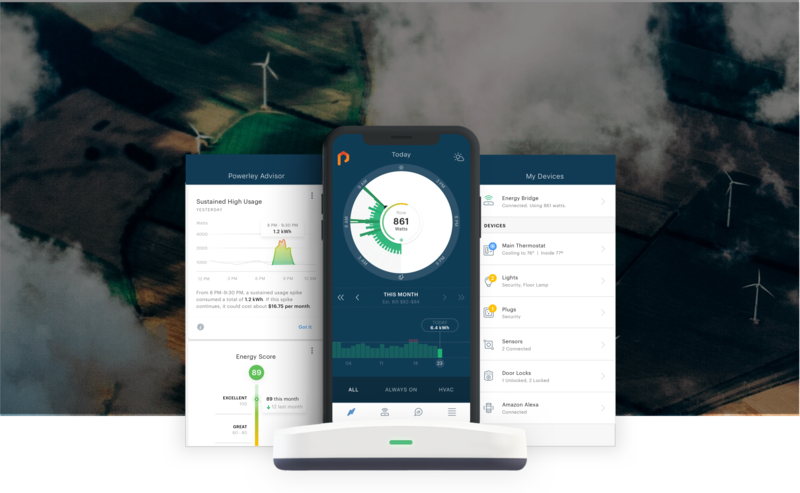 Blending energy management with home automation, the It’s Your Power app achieved 10 percent adoption in less than a year—fueling engagement while creating energy and demand savings for AEP Ohio. AEP Ohio presented customers with the right value proposition, delivering a new energy-driven smart home experience that is engaging customers an average of 9 times per week. As a sign of deeper engagement, app sessions average 80 seconds—more than twice that of mobile engagement benchmarks. Customers have gone well beyond the bill cycle, discovering device control, engaging in efficiency challenges, and activating home automation. Engagement is just the beginning. Remember when Amazon only sold books online? Fast-forward two decades, and Amazon has extended its footprint to dominate new segments—becoming a retail, media, and tech giant. Companies like Amazon, AT&T, and Comcast have parlayed customer relationships into new business extensions with greater value. Electric companies have the same opportunity ahead. These daily dialogues have created a clear path to build behind-the-meter success. Electric companies can now leverage energy management as a catalyst to drive adoption of smart home services (and revenues). In concert, they are extending demand events across the smart home while integrating distributed resources into the energy management experience. These opportunities define the electric company’s future. Yet, each is present today—ready to be unlocked by a newly engaged customer. Originally published on EEI’s ELECTRIC PERSPECTIVES magazine.